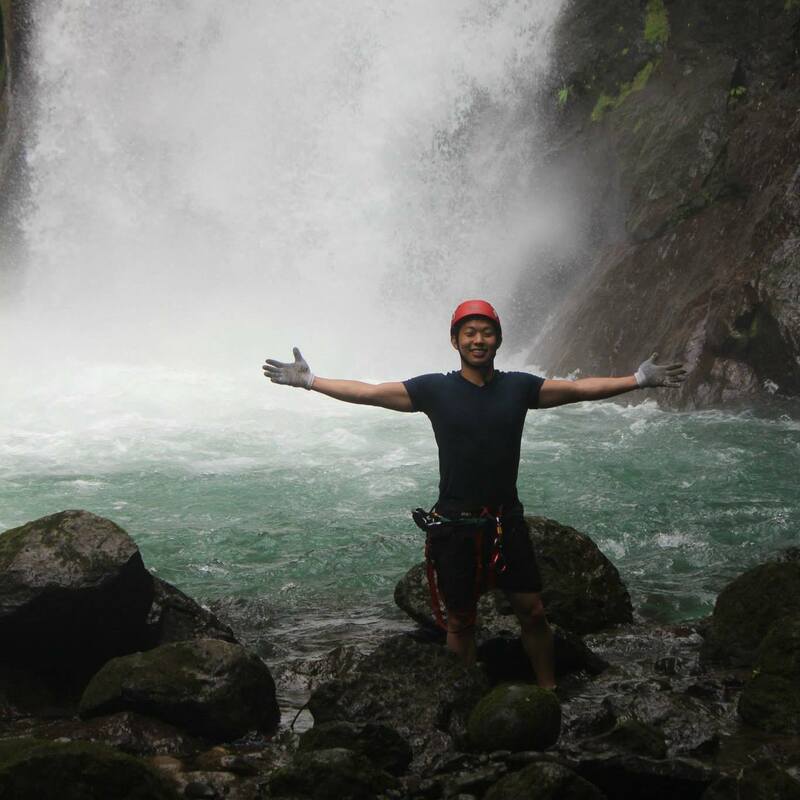 Take a journey with us through the beautiful countries of Costa Rica and Nicaragua and see what makes traveling with Under30Experiences different from any other travel company. 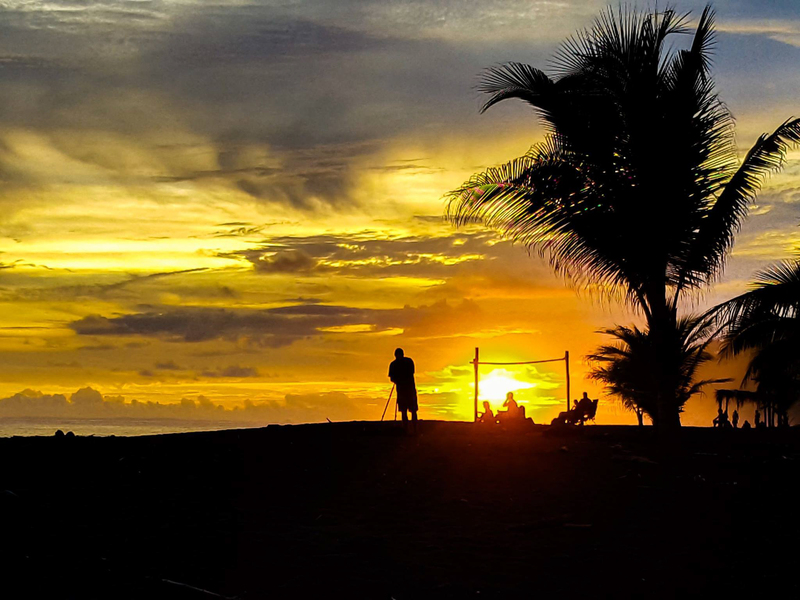 Our Explore Central America trip takes you through Costa Rica and into Nicaragua where you will see some of the most biodiverse and beautiful places on Earth. 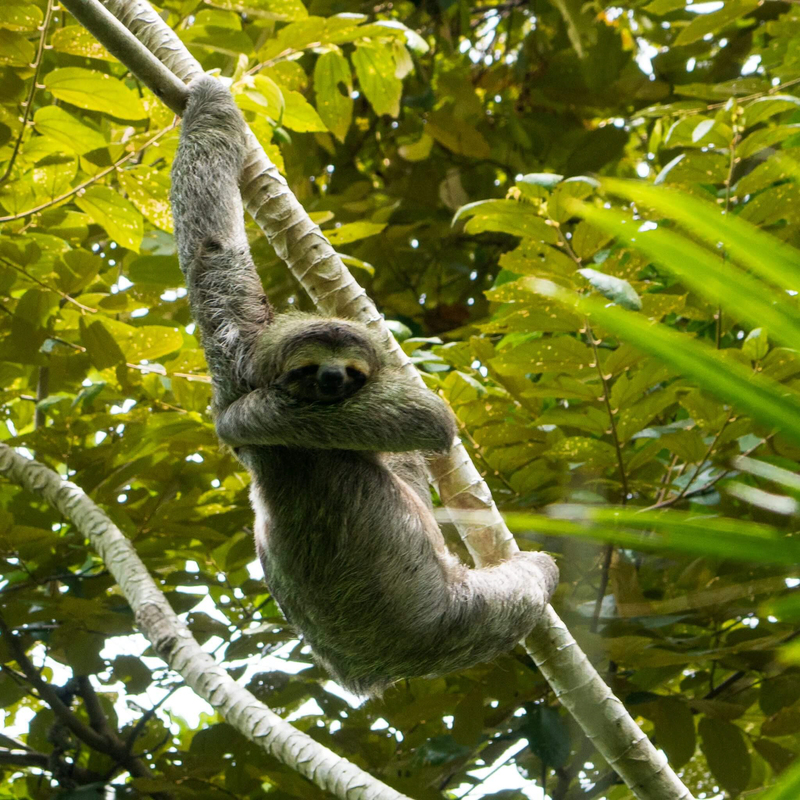 Monkeys and sloths galore, explore Central America was a trip to remember. 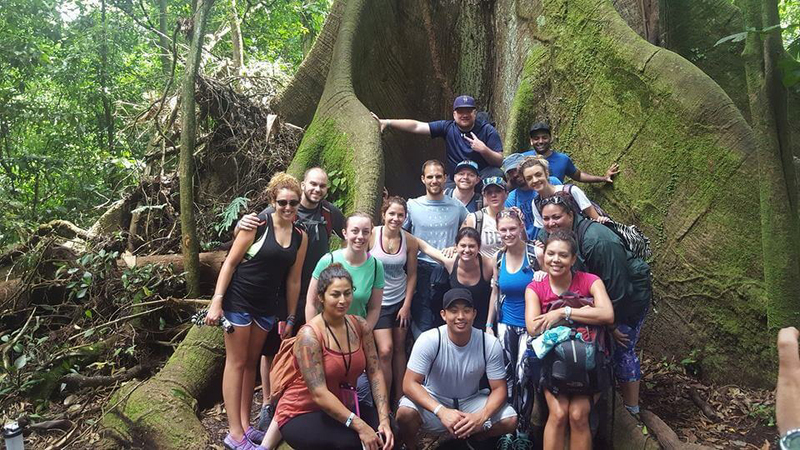 By combining several of our favorite trips--Starter Costa Rica, Explore Costa Rica and Explore Nicaragua--we were able to see some of the best parts of the world from wildlife, beaches, and rainforest...all while meeting three awesome groups of travelers along the way. Once we arrived in San Jose Airport, the journey of an incredible experience began. Crocs bathing in the sun. From the airport to Manuel Antonio we made a pit stop at the Crocodile Bridge!! Here we got some Coco Locos (real coconuts with rum) and took a walk along the bridge. 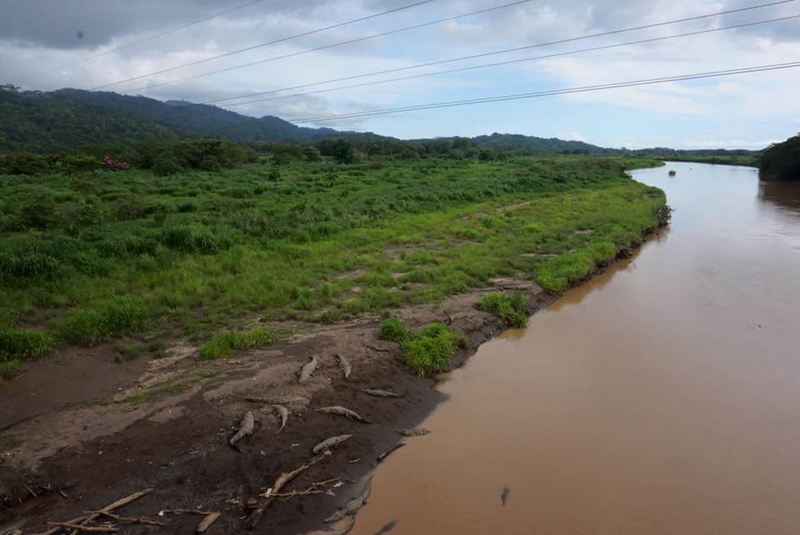 When you look down from the bridge you see fearsome crocodiles waiting for their next meal. It was pretty cool to see them just hanging out like being beach bums grabbing some sun. Our first dinner as a group was at Bowie’s Point. This restaurant is right off the beach of Playa Hermosa--one of the most beautiful beaches in Costa Rica. Who doesn’t want to have a sunset dinner right off the beach? Let’s just say the Costa Rican sunset really set the mood for the trip. The sunsets are SO incredible! The first activity of the trip was Manuel Antonio National Park! This paradise is one of the most biodiverse national parks in the world. 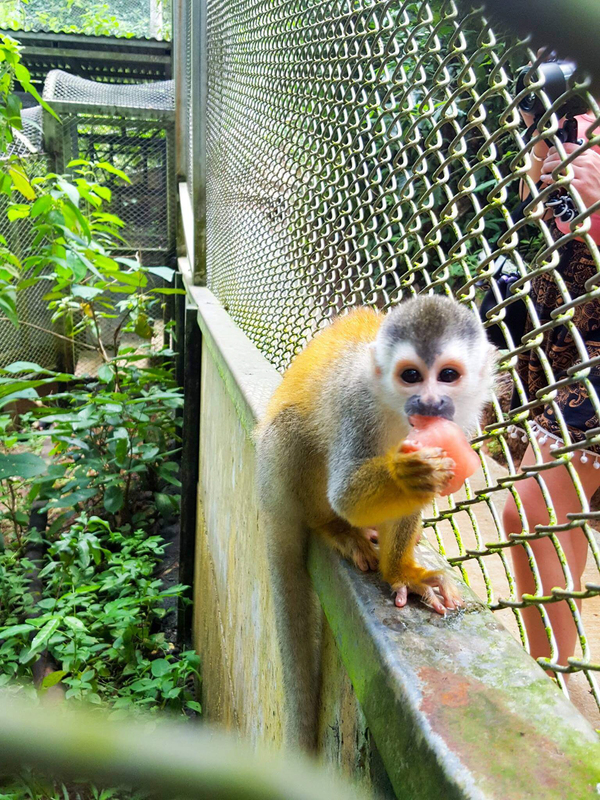 Three different types of monkeys live here--the Capuchin monkey, the Howler monkey, and the Titi monkey--as well as the two-toed and three-toed sloths. Of course, these are just a few of the animals that call this national park home. Hey guys...I'm just hanging around. That isn't even the best part. The beaches at the national park are some of the most stunning you will ever see in your life. In fact, Playa Manuel Antonio is known as one of the best beaches in the world and the best beach to visit in Costa Rica. Relax at these white sand beaches after you stroll through the biodiverse park and swim in blue water that is always the perfect temperature. 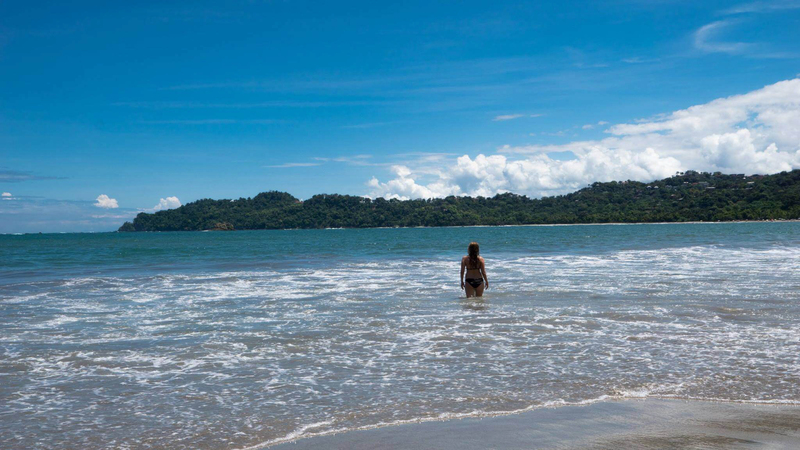 Enjoying the beaches inside Manuel Antonio National Park! Next, the group decided to partake in a community day and visit a world-known non-profit, Kids Saving the Rainforest. This organization was started by two 9 year-old girls in 1999 to educate people on how important and essential the rainforest is to our ecological world, as well as protect and save the rainforest and the animals that live within it. The organization takes in injured or abandoned animals and tries to nurse them back to health and then properly release them back into their natural habitat. Let’s just say, our travelers had an opportunity to see some of the coolest animals up close and personal while they supported an awesome cause. 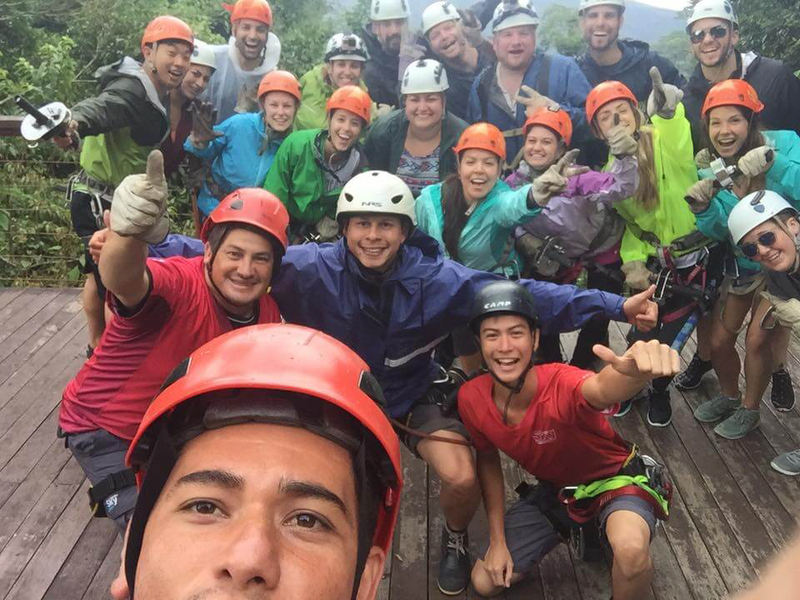 The last day of the Starter Costa Rica trip, our travelers had a free day to choose any kind of adventure. A few decided to go ride on atv's and zip lining. Myself and another traveler went waterfall rappelling. 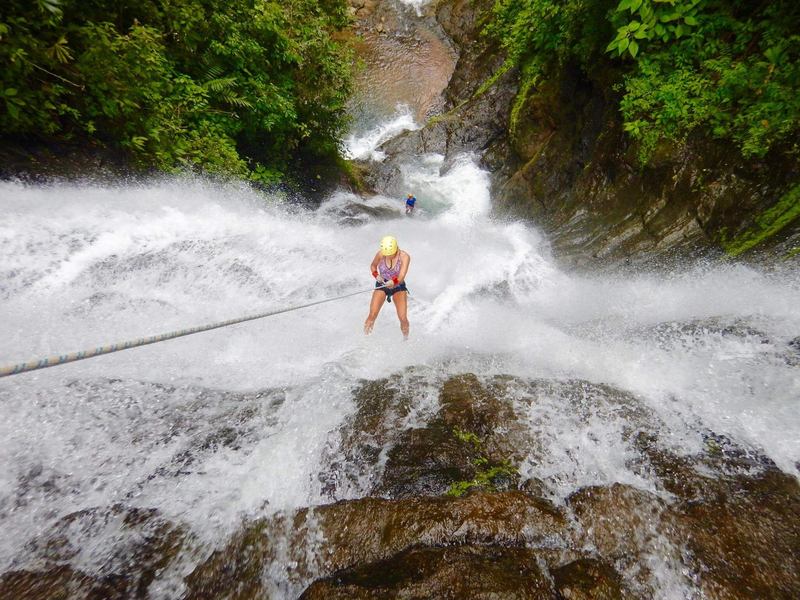 Natalie rappelling down the second largest waterfall in Costa Rica. 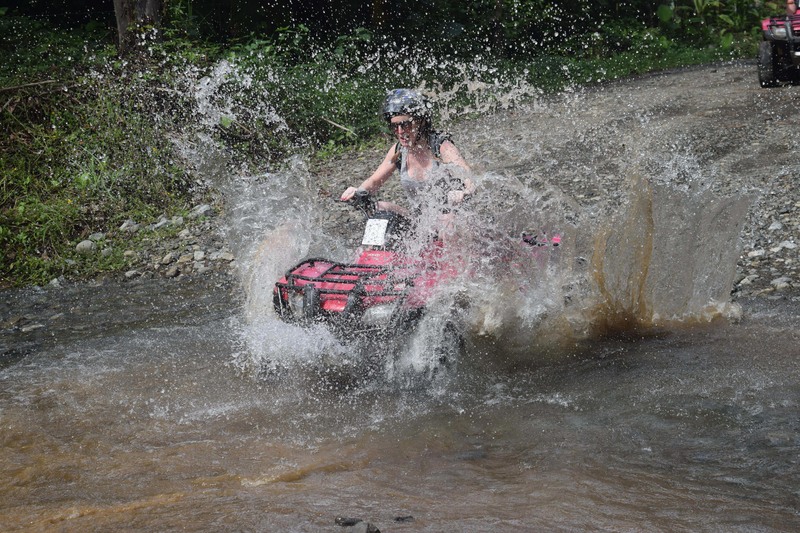 Jenny riding through the waters!! The rest of the group did yoga in the morning and then some shopping in the afternoon. This is one of the factors that makes Under30Experiences different from other "tour groups." We will guide you to experience awesome countries like a local, but the adventure you choose is up to you. Onward to the next leg of the trip, Explore Costa Rica! There were a few travelers who continued on from the SCR trip and joined the new group. Here we got to spend our time in the middle of the rainforest at Rancho Margot. Rancho Margot is a beautiful self-sustaining eco-lodge near Arenal Volcano. The ranch also has a few hiking options and let's just say that the Mirador Hike is well worth it! Lauren made it to the top of Mirador. Check out that view!! We got to take a tour of the Rancho Margot to give the travelers an idea of how the lodge is not only self-sustainable, but carbon negative as well. The group learned about the plants and flowers grown in the area, were introduced to the farm animals, and even had the chance to hold some of the piglets and chicks. 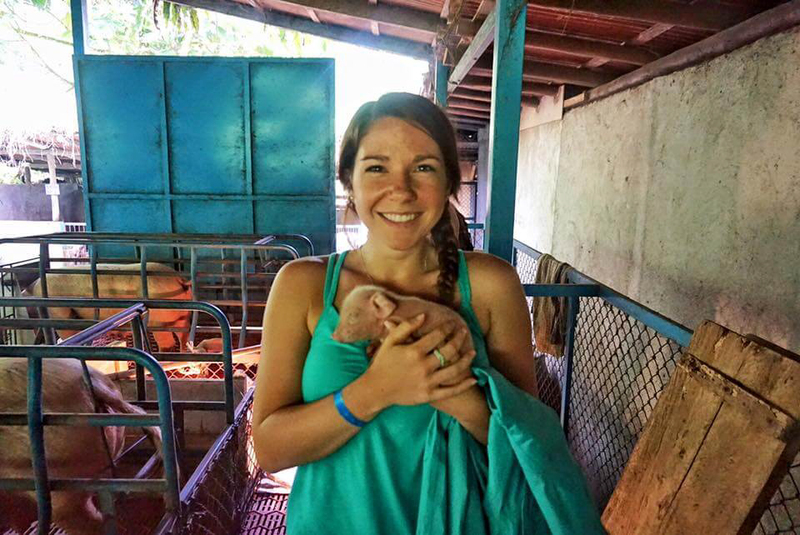 Bri holding a week old piglet! Later that day, we made our way to Sky Adventures for zip lining! All seven of the zip lines have a beautiful view of Lake Arenal and Arenal Volcano. Some of the lines were a half mile long while another line allowed our travelers to race side by side. Talk about competition and bets being made. Ready to go zip lining!! 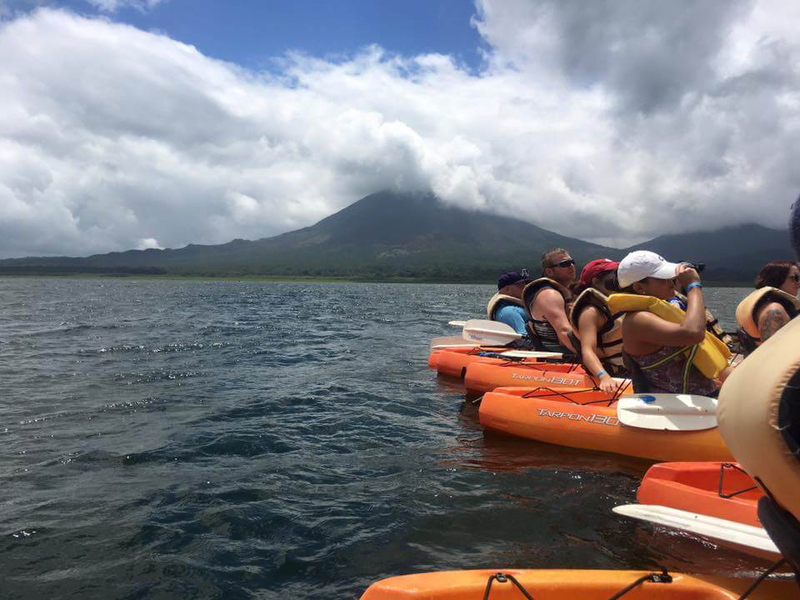 The following day we kayaked the largest lake in Costa Rica, Lake Arenal. It was an amazing experience getting to be out on the water with the whole group and a couple of travelers even took a dip into the lake! As we gathered around our tour guide, we were taught the lake is part of the hydroelectric Arenal Dam that is responsible for most of the electricity in Costa Rica. It was pretty cool to think about how we were exploring one of the most important landscapes of Costa Rica while having such an awesome time. Kayaking the largest lake in Costa Rica...YES!! On our last full day, we took a 3-hour hike around Arenal Volcano. Our tour guide taught us how the rainforest is an essential part of the world and showed us the various types of animals that live in this habitat. We learned how smart trees and plants have to be to adapt to their surroundings, and how each insect is important to the complex ecosystem. As we were adventuring through the rainforest, we discovered what is called, the Tree of Life. The Tree of Life has been around for hundreds of years. As you can see, it is massive and a sight to behold. Group picture in front of the Tree of Life. 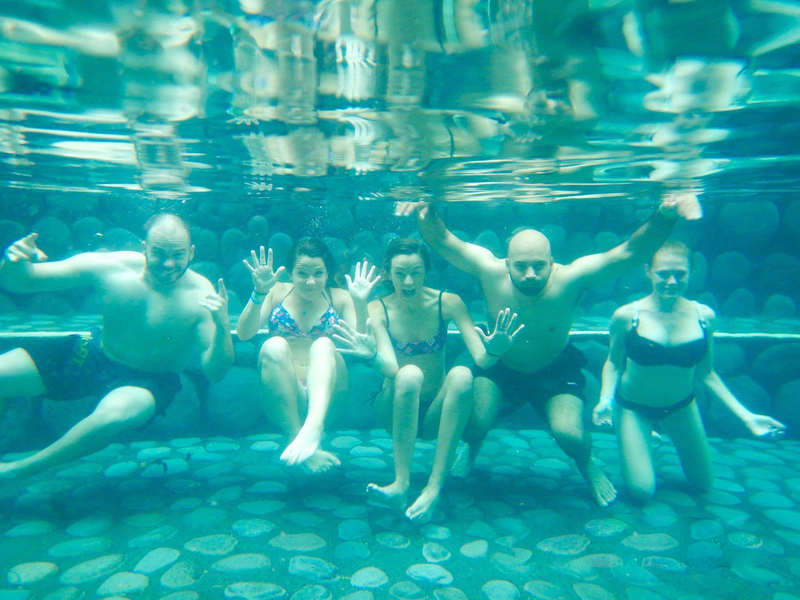 Next, the group decided to take a dip in the natural hot springs. It was a rainy afternoon and the springs were a steamy 104 degrees Fahrenheit, setting the mood for a perfect afternoon. After the morning hike, it felt amazing to swim around with some new friends while enjoying a delicious cocktail. Take a dip and say cheese!! The last leg of the Explore Central America trip was the beautiful and remarkable, Nicaragua. 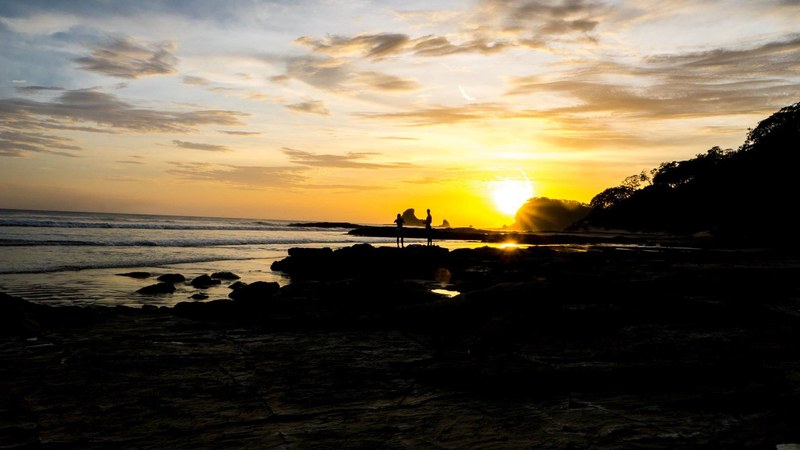 Nicaragua is a beautiful country offering some of the best beaches and surfing in the world. 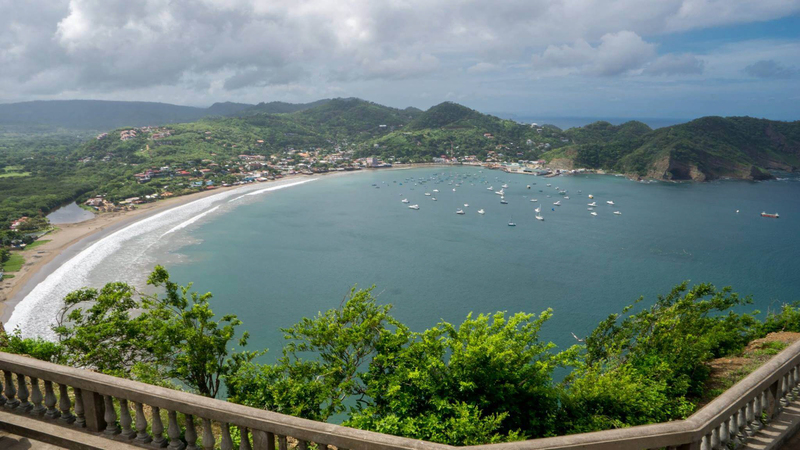 Here we got to explore three beaches and the incredible town of San Juan Del Sur. On the first day of the trip, we headed into town and hiked up to Christ of the Mercy. The statue of Jesus sits atop of the hill and provided this awesome bird’s eye view of San Juan Del Sur. The view from Christ of the Mercy...breath taking!! Later that day, we visited Playas Maderas, a well-known surfing spot. The waves were about 4 feet when we arrived...so what did we do? We surfed!! One of the best feelings in the world is to go out and try something new and burst out of your comfort zone. Surf and Sunset...best way to end the day. On the following day, we got the chance to share some special moments with some local kids. 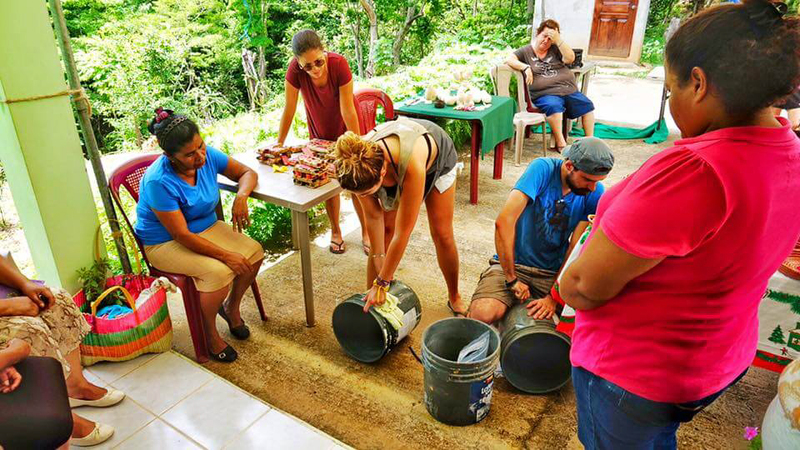 Sustainable tourism is important to Under30Experiences and we always try to give back on trips when we can. Our group was up for the adventure so we stopped by an elementary school in the afternoon and played volleyball, soccer and tag. There was nothing but smiles on the faces of the kids and travelers. Bringing joy to the kids!! The last full day of the trip we were able to do a cultural exchange with local Nicaraguan women. The travelers got an inside view on how the women started their businesses. These women were selling jam, soaps, hand weaved baskets and ornaments. It was a great eye opening experience for all of us. Jen Morilla, the Social Girl Traveler, also brought water filters for the women to bring back to their home. These water filters provide clean water for the families since there is no potable water in the country. 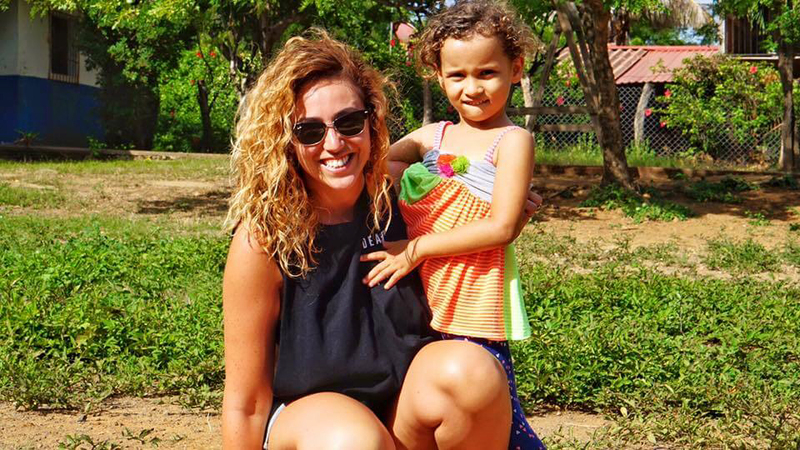 The Social Girl Traveler, Jen Morilla and U30X giving back to the community. In the afternoon, we stopped by Playa Hermosa where we kicked back and lounged in paradise by sleeping in hammocks, enjoying delicious food, laying on the beach, and catching some sun. It was a stress-free day. 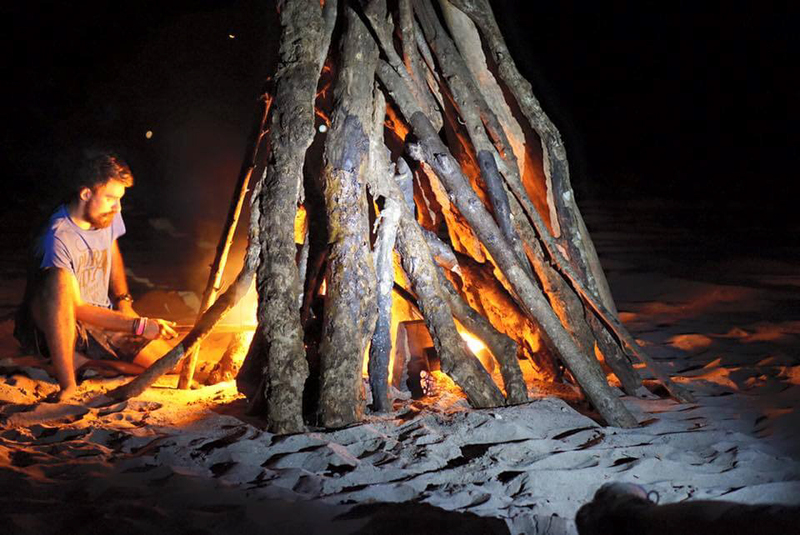 As the sun began to set we ended the night with a bonfire on the beach of Playa Marsella. Perfect ending to end the trip! We couldn't have asked for a better way to end the trip. Did this trip sound pretty radical? That's because it was. Under30Experiences travels to more than a dozen different locations throughout the world and it is our mission to make it affordable and accessible to young adults. Take advantage of our low prices and travel with small groups of people (no more than 20) that are your own age. Plus, have the flexibility to choose your own adventures but allow us to set it up for you. But don't take our word for it, just check out our reviews. Check out our trips here and we hope to see you on an adventure soon! Andy is an Adventure Leader and Photographer. He has backpacked throughout Central America and parts of South America. His passions lies in dancing, fitness, photography, and creating connections with people.